"Latvian Open 2018" Men's Elite All Star Team is selected. 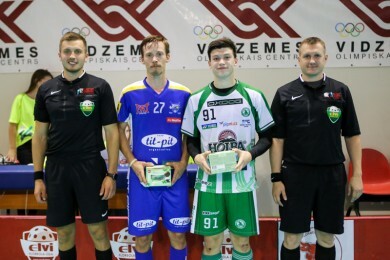 Forwards: Klāvs Jansons (Latvija U19 1), Sandis Jēgers (Latvija U19 2), Arnijs Kuratņiks (Latvija U19 1). 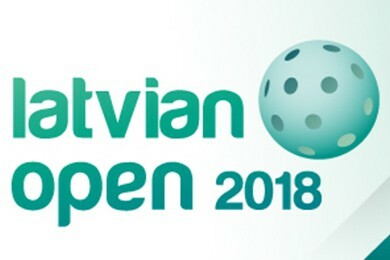 "Latvian Open 2018" Men's Open All Star Team is selected. 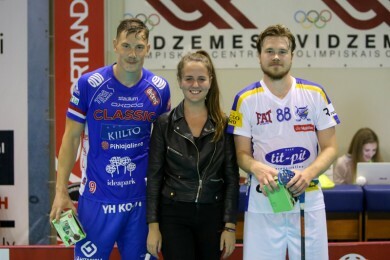 Forwards: Rūdolfs Ķīvītis (Kuldīga), Pēteris Freimanis (Vārme), Klāvs Andersons (Kuldīga). "Latvian Open 2018" Women's Elite All Star Team is selected. Forwards: Svetlana Viktorova (Nauka-SAFU), Mariia Basargina (Saint Petersburg United), Jūlija Rozīte (Rubene). 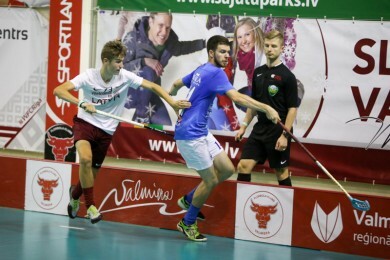 Photo gallery from "Latvian Open" Men's Invitational category 5th place match FBK Valmiera - Florbal Usti (5:6). Photo gallery from "Latvian Open" Men's Invitational category 3rd place match UHC Uster - Kloten-Dietlikon Jets (6:2). 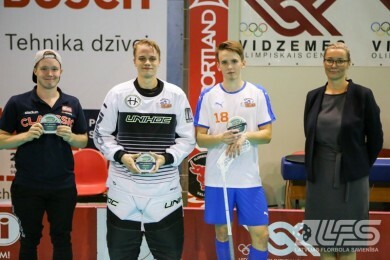 Photo gallery from "Latvian Open" Men's Invitational category Final SC Classic - Esport Oilers (3:5). 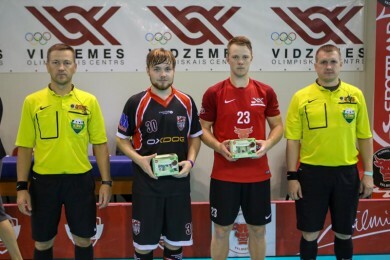 "Latvian Open 2018" Men's Invitational All Star Team is selected. Forwards: Jakub Kolstrunk (Florbal Usti), Basile Diem (Kloten-Dietlikon Jets), Niko Juhola (UHC Uster). Photo gallery from "Latvian Open" Men's Elite category Day 3 matches. Photo gallery from "Latvian Open" Women's Elite category Day 3 matches. Photo gallery from "Latvian Open" Men's Open category Day 3 matches. Photo gallery from "Latvian Open" Men's Invitational category Day 4 semifinal Esport Oilers - UHC Uster (4:2). 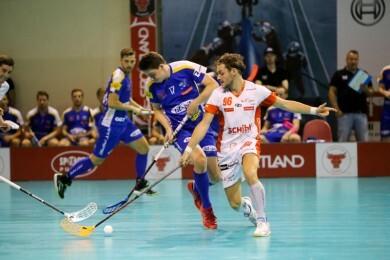 Photo gallery from "Latvian Open" Men's Invitational category Day 4 semifinal SC Classic - Kloten-Dietlikon Jets (10:2). Photo gallery from "Latvian Open" Men's Invitational category Day 4 match for 5th-8th place FBK Valmiera - FbS Bohemians (10:9). Photo gallery from "Latvian Open" Men's Invitational category Day 4 match for 5th-8th place Florbal Usti - Rubene (8:1). Photo gallery from "Latvian Open" Men's Open category Day 2 matches. Photo gallery from "Latvian Open" Women's Elite category Day 2 matches. Photo gallery from "Latvian Open" Men's Elite category Day 2 matches. 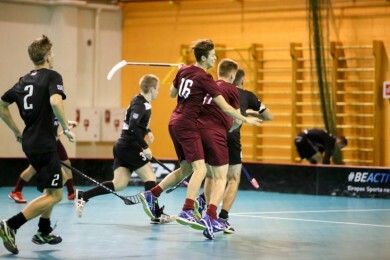 Photo gallery from "Latvian Open" Men's Invitational category Day 3 match FBK Valmiera - UHC Uster (1:3). Photo gallery from "Latvian Open" Men's Invitational category Day 3 match Rubene - Esport Oilers (4:14). Photo gallery from "Latvian Open" Men's Invitational category Day 3 match Florbal Usti - SC Classic (1:13). Photo gallery from "Latvian Open" Men's Invitational category Day 3 match Kloten-Dietlikon Jets - FbS Bohemians (7:1). Photo gallery from "Latvian Open" Men's Open category Day 1 matches. Photo gallery from "Latvian Open" Men's Elite category Day 1 matches. Photo gallery from "Latvian Open" Men's Invitational category Day 2 match SC Classic - FBK Valmiera (13:0). Photo gallery from "Latvian Open" Men's Invitational category Day 2 match Rubene - Kloten-Dietlikon Jets (4:8).